While all fire investigators are familiar with NFPA 921 and NFPA 1033, uncertainty as to how best to deal with 921 and 1033 in the “real world” to the investigator’s best strategic advantage during an origin and cause investigation still remains in the fire investigation community. Everything about a fire investigator -- the origin and cause report, and deposition/trial testimony -- should reflect a high working knowledge of 921 and 1033, and should demonstrate that the origin and cause investigation was conducted in complete conformity with NFPA 921. 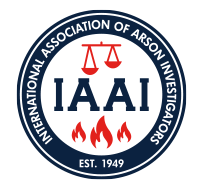 This practical course will provide fire investigators with the necessary tools to survive the various legal challenges to their expert qualifications and testimony, including: how to draft an origin and cause report in full conformity with NFPA 921; and how to survive legal challenges to your expert qualifications and opinion under NPFA 1033 and Daubert.